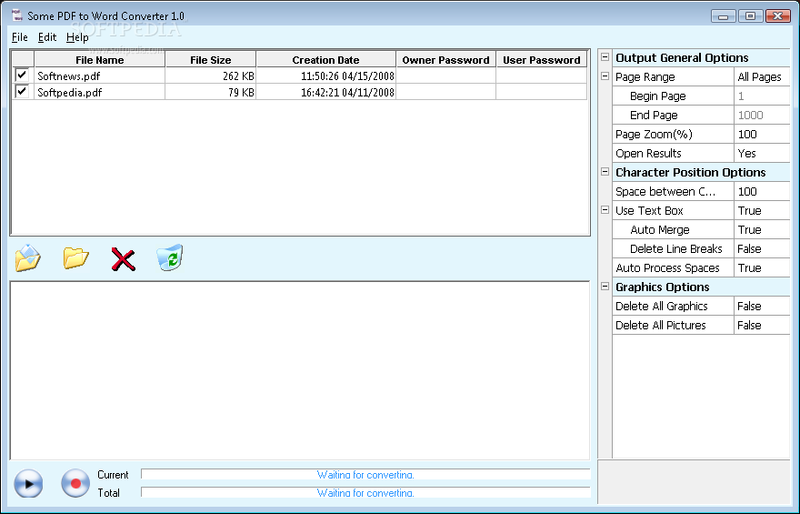 If you are looking for a freeware to convert your PDF files to word documents then you can use Some PDF to Word Converter. It is a very simple application which will help you to easily convert your PDF files to Word format. When you convert your PDF files to Word format the same formatting is retained. It will preserve the original layout, Images, text and other things. Easily Convert PDF files into Microsoft Word documents. You Don’t need Adobe software also. Accurately preserves Text, Tables, Graphics & other Layouts. You can resize PDF page to fit your required Word page size. Page numbers can be generated automatically. You can also delete graphics and pictures from the generated Word document. Advanced PDF to Word 5.0 is a pretty useful tool to convert pdf files to Word Documents,Converted quality is fairly good: with text content, page layouts, images,and text hyperlinks preserved.what’s more,it only costs you $19.95,so why not have a try.